Revenge of the Small Town. Character homes, attainable ownership, easy commutes, and world-class fiber optic internet services are helping Vista Crossing charm buyers away from the city. Prices & terms are subject to change without notice. NEWLY RELEASED PAIRED HOME MODELS! NEW SHOWHOMES OPENING SPRING 2019! THE BEST OF URBAN AND SUBURBAN LIVING IN THE NORTHEAST At the Cornerstone Community, you’ll have a wide array of amenities right on your doorstep including two future LRT plazas and the city’s first major activity center. Enjoy the best of Cornerstone, with pristine prairie views, 180 acres of natural wetlands, walking trails and parks with all of the conveniences of urban living. Ranging in size from 1569 - 1684 sq. ft. Sales Centre Hours: Mon - Thurs: 2-8 pm • Sat, Sun & Hol: 12-5 pm info@shanehomes.com shanehomes.com #betterwaytobuild *Price includes house, lot and GST. Subject to change without notice. SPRING AWAKENING TRANSITION INTO THE SEASON Ever since I can remember, I’ve always suffered from seasonal pining. When it’s fall, I want winter. When it’s winter, I want spring. And don’t get me started about summer. As an adult, not much has changed when it comes to my mercurial seasonal temperament, only now as a homeowner, I’m focused on my new-found love for home decor and organization. Save for the regular year round pieces, I decorate heavily based on the season. With spring upon us, you may consider pulling in soft pastel colours in the form of throw pillows to liven up your living space. Flowers are another fresh, interchangeable decor option that gives a head-nod to Mother Nature’s seasonal transition. Lilies, tulips and daffodils will all pay homage to the season and look stunning on any breakfast table or kitchen island. Spring awakens our need to organize and clean. Take advantage of the warmer temperatures and remove the remnants of your holiday decor. Revitalize your living space by reducing clutter and donating items you no longer need or want. If you don’t own your own home, you can still refresh and clean. A way to find great ideas is to visit showhomes and investigate new living arrangements for you and your family. 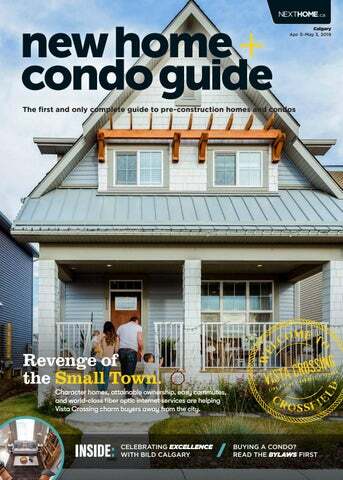 Consider exploring one of the great showhomes found within these pages and get moving! In their book Remodelista: The Organized Home, Julie Carlson and Margot Guralnick promote better living through organization. Here are six ways to implement organization into your life. Buy fewer (and better) things. Resist impulse and stop-gap purchases. Instead, zero in on quality. Borrow ideas from organizational masters. Experts, such as hoteliers and shopkeepers, know how to come up with novel, affordable approaches to storage. Ditch the plastic. Seek out products made of sustainable natural materials, such as wood, glass and ceramic. Establish habits and routines that simplify your life. Always keep your keys and eyeglasses in designated spots. Relax and make yourself at home. Too much enforced order is uninviting for occupants and guests alike; rooms are for living. Excerpted from Remodelista: The Organized Home by Julie Carlson and Margot Guralnick (Artisan Books). Copyright 2017. Used with permission of the publisher. apply for your own basement development permits. 1 1A BEACON HEIGHTS 4. * Price subjects to change without notice. E&OE. *Prices start from $399,900 up to $535,900 based on available community pricing. field and three major parks all within seven acres of greenspace, “families never have to leave the Calgary’s West End oasis,” Dhanani says. Residents Axinya and Maxim say: “We love everything about the west side. It’s the perfect location between downtown and the mountains and has all the amenities only minutes away.” For more information, visit the showhomes Mon. to Thurs., 2-8 p.m., and weekends and holidays, noon-5 p.m., or risewestgroveestates.com. BAN THOSE FOR SALE SIGNS ONE MIGHT BE FINE, BUT WHAT IF THERE’S 50? Signs, clutter and outdoor storage are not allowed under condominium bylaws, but these rules are often ignored. Failure to enforce the bylaws can set off a spiral of declining standards and competing for sale signs. me too) can visit the bottle depot more often than once per year. Those who work nights who require darkness during the daytime can visit a hardware store to fetch inexpensive blackout roller blinds in an offwhite finish. Lastly, TV and movie buffs can subscribe to cable, upgrade to fulltier cable, or subscribe to pay-perview services. They can also see if a single dish hidden atop the roof could serve the entire building, and undertake a subscription drive in-house to see if enough owners would subscribe. It’s even possible that their small dish could be mounted inside their suite pointing through the picture window. Ugly? Yea, but that’s why we don’t want it mounted outside. I help to sell and buy a lot of condo properties. As a matter of policy, I won’t use a for sale sign to do it. Create a level playing field in your condo community by enforcing the no-signs bylaws so no one else will, either. And purge the other clutter while you’re at it. Linda Palfi is the Broker/Owner of CNC Properties, which offers both Real Estate and Condominium Property Management Services. She is a member of CREB’S Professional Standards Committee and serves on multiple condo boards. Unlike single-family homes, there are several rules and regulations you’ll have to abide by when living in a condominium-type home. They are known as bylaws. If you’re thinking about making a move into a condominium, I can’t stress enough that reading the building’s bylaws is one of the first things you’ll want to do before making any solid decisions. Do this while you’re still in the conditional sale / prospective buyer stage to make sure that your lifestyle will conform to these rules and regulations well before a firm sale. WHY READ YOUR CALGARY CONDOMINIUM BYLAWS? NOTE: Please match map numbers with property listings. Taken at a glance, the first couple of months of 2019 appear to be a lot like last year. Upon closer inspection, however, there are a few notable differences. According to Canada Mortgage and Housing Corporation (CMHC) statistics, there were 602 total new home starts in February 2019 compared to 578 in February 2018, which on the surface, is a difference of just 24 starts. Look a little more closely, and you’ll see that this year’s total is buoyed by 235 apartment starts in February and a year-to-date figure of 408 apartment starts so far in 2019. (See Chart) On the other hand, 2018 saw quite a few more single-family home starts in the first two months of the year, 621 compared to 476 this year. Row homes, or townhomes, although down from February to February, were up by 76 per cent in 2019 on a year-toyear basis. So, although the numbers at the bottom of the chart appear similar, how they got that way is not with the first couple of months of 2018 being boosted mainly by big single-family numbers, while 2019 has been boosted by multi-family projects. Most February starts were in the northwest quadrant (190), followed by the southeast (171 total with 131 apartment starts). part by the affordability factor. Combined with federal stress-test rules for mortgages –designed mainly to address unstable real estate markets in Vancouver and Toronto – that make getting a mortgage more difficult for many first-time buyers, but may be contributing to the slowdown in the local Calgary housing market. Watch for multi-family starts to continue to outpace single-family starts for the foreseeable future. Jim Zang is a professional writer/ editor who has lived in Calgary his entire life. He has been reporting on the local housing industry since the early 1990s and is the former editor and associate publisher of a variety of housing industry and lifestyle publications in Calgary and region. 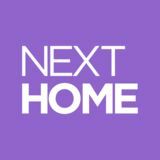 Calgary, the latest feature in NextHome’s New Home + Condo Guide. Each month, we’ll touch base with some of our regular industry contacts and reach out to new sources for information on what’s going on in the local housing industry. From updates on new community developments, to grand openings of showhomes and important industry reports and events, we’ll try to bring you a variety of snippets and keep you up-to-date on what’s new. There are condo boards, and then there are condo boards. It’s the second kind I’m referring to here, the cork board at the entrance of the building and not the group of folks who get together to discuss business on behalf of the condo corporation. Not every condo building has one of these boards – mine does, my daughter’s doesn’t – but I actually find them quite useful. Oh sure, there’s the potential for abuse – we’ve all seen the local take-out restaurant information board taken over by a zillion overlapping business cards. And I still laugh when I remember the episode of Seinfeld where Kramer thought it would be a good idea to promote community by putting everyone’s name and photo on the corkboard. I’m all for community, but I understand not everyone, particularly those who live alone, want their photo posted like a post office wanted poster. Utilized properly, like at my condo, a corkboard at the front entry is quite handy. One sheet of paper tells you how to contact the management company. Another reminds folks of the smoking bylaws on the condominium property; that one went up last October with the legalization of marijuana. Another letter reminds folks not to leave their windows open so the pipes won’t freeze, as it’s a water-heated building, and another reminds people to pick up their dog’s droppings. Some smart marketer has pinned their pet food store business cards on that one, while a housekeeping service has stuffed some cards in the bottom right hand corner of the frame. Parking regulations are outlined, including electric vehicle charging policy (even though I’ve never seen one in the parking lot) and, yes, there’s even a letter on the board telling you how to contact the board. Protect Your Investment, From Every Angle. Bucci will guarantee the price of your home for one year! If you purchase a home at Radius today, and the appraised value is lower one year from now, Bucci will pay you the diﬀerence in CASH! Learn about our Spring Pricing Incentives and Real Estate Investment Protection Program TODAY! Invest in a buyer’s market with our Spring Pricing Incentives. Concrete, LEED Platinum construction, parkside in Bridgeland. Bucci will guarantee your investment for one year. Move into a new home and a new lifestyle today. IMMEDIATE POSSESSION AVAILABLE! + Tour over a dozen amenities. river pathways, parks and greenspaces, great dining and boutique-style retail, schools, and access to major arteries, like Deerfoot Trail, 16th Avenue and Memorial Drive.” Buyers also love the wellappointed interiors with features such as nine- to 10-ft. ceilings, laminate floors, stainless steel appliances, quartz countertops, eating bars, large balconies, insuite laundry with washer and dryer and air-conditioning. Condos also come with titled parking and an assigned storage locker. Introducing WideLot™ In Carrington, New Home Designs That Allow For Many More Floor Plan Possibilities. You have to walk to feel it - ask us for a personal tour today. Move In Your New Home Today and Start Enjoying Life In Carrington Sooner Than You Thought. Our Quick Move-Ins Are Available For Immediate Possession. Shorter hallways allow for larger rooms. Discover More Reasons To Buy New At Mattamyhomes.com Please visit mattamyhomes.com for Sales Centre & Showhome Hours Homes are subject to availability. All illustrations are artist’s concept. All dimensions are approximate. Images are staged for marketing purposes only, some appliances may not be exactly as shown, furniture not included. Prices, specifications, terms and conditions subject to change without notice. E.&O.E. CHALET NO. 6 by Hopewell NOTE: Please match map numbers with property listings. *Offer valid on Copperstone townhome purchases made from April 6 to May 31, 2019. Terms and conditions may apply. Welcome Home Interior Design Package by SmithErickson Designs includes, two (2) one-hour interior design consultations whereby SmithErickson Designs present one (1) main floor interior furniture concept and one (1) layout concept for the kitchen, living room and dining areas only and one (1) furniture selection and budget statement. The furniture credit of $5,000 may only be used towards CF Interiors Furniture as recommended by SmithErickson Designs. This offer is not redeemable for cash. Prices do not include GST. Renderings are an artist’s conception and are intended as a general reference only. Vesta Properties (Copperfield) Ltd. reserves the right to modify or change plans, specifications and prices without notice. E&O.E.